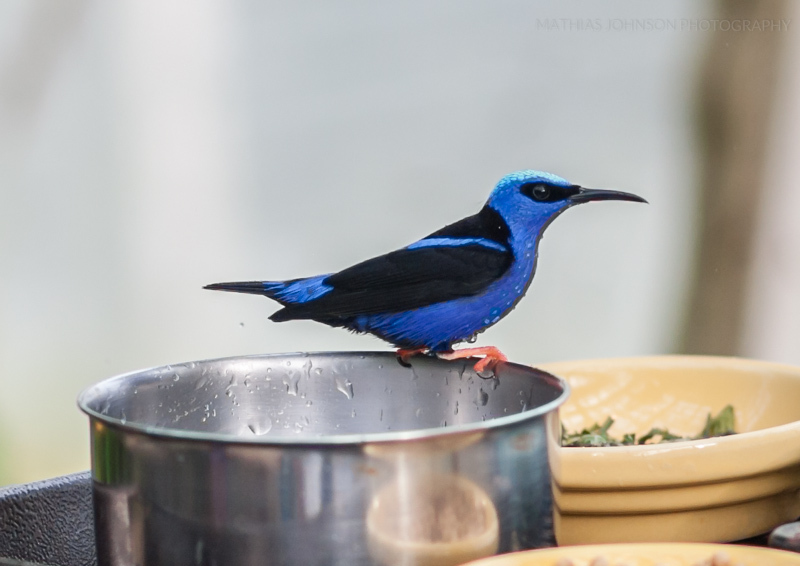 The red-legged honeycreeper seems to be more active when there's less foot traffic in the Judy Istock Butterfly Haven of the Peggy Notebaert Nature Museum. This male bird just took a dip before retreating to high in a tree where he spent some time grooming. Surely, looking that handsome isn't easy. The water droplets are clearly visible, but it's too bad he didn't pose in front of a more pleasing background. Camera Nerdery: Hand-held, manual focus, Canon 1Ds mkIII, 85L, 1/800th @f/2.2.